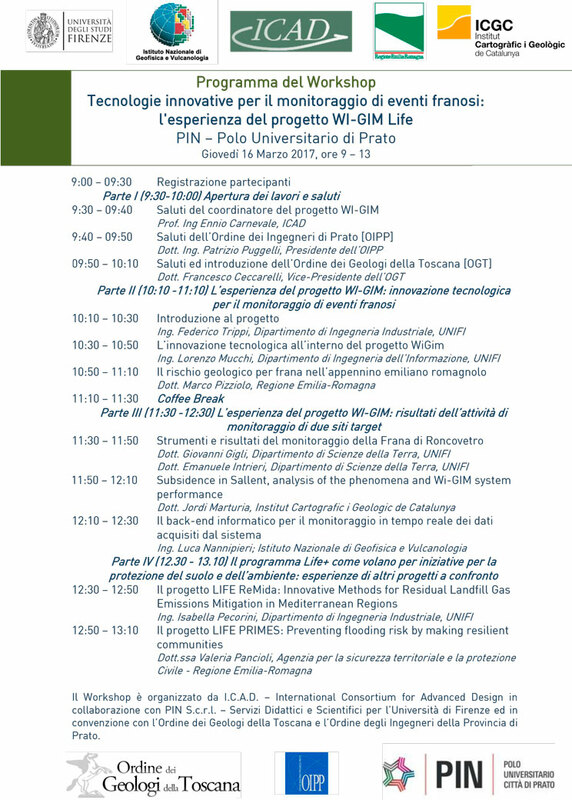 Wi-GIM Final Workshop was held at PIC of Prato with the presence of all partners and the external LIFE auditor dott. Marco Tosi. 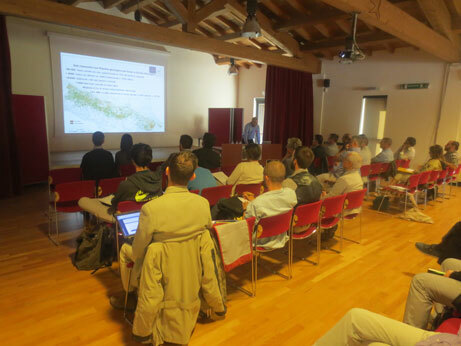 First Prof. Ennio Carnevale (ICAD) introduce the meeting then ing. 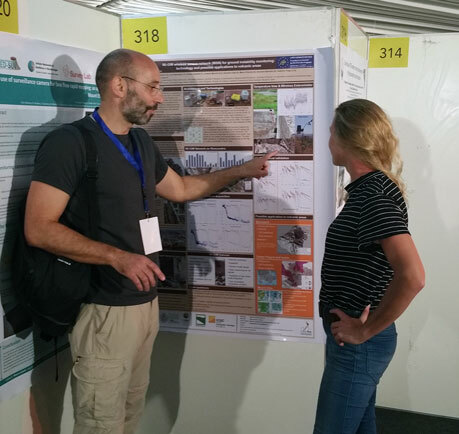 Federico Trippi (ICAD) described the project. 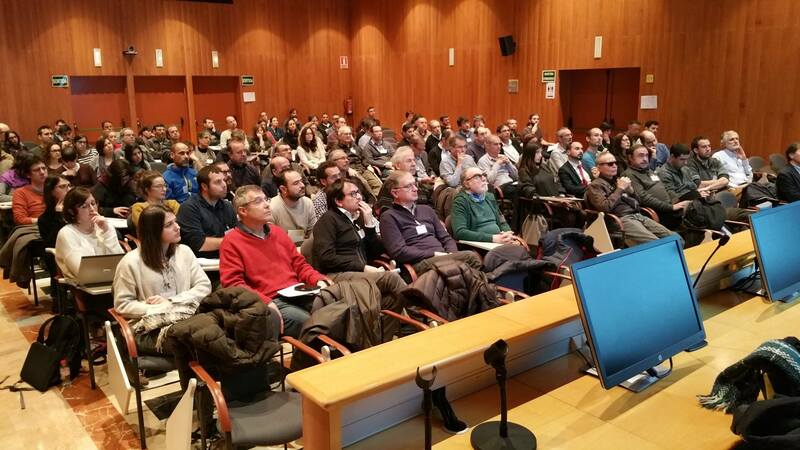 Other invited speakers were Lorenzo Mucchi (ICAD), Emanuele Intrieri (UNIFI-DST), Jordì Marturia (IGCG), Marco Pizziolo (RER) and Luca Nannipieri (INGV). At the meeting attended more than 100 partecipants. Thanks to Rosa Schina e Federico Trippi for the perfect organizzation. 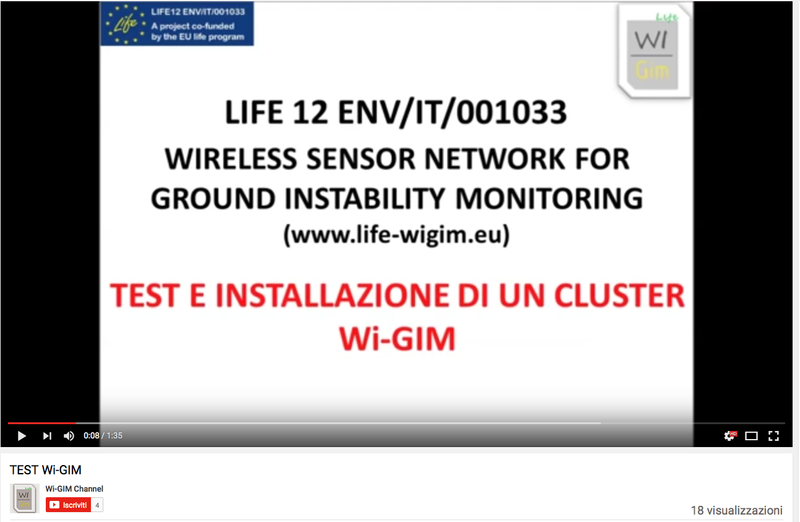 Wi-GIM system and technologies have been presented to "Cities on Volcanoes 9" congress by Massimiliano with the purposes of exploring possible applications in the very unstable areas such as the flanks of volcanoes. Active volcanoes are dynamic structures often affected by episodes of instability and subsequent structural failure that can lead to structural deformation and flank failure. Volcano instability can develop over various time scales from months to hundreds of years and involve volumes varying over several orders of magnitude up to several thousands of cubic kilometers. 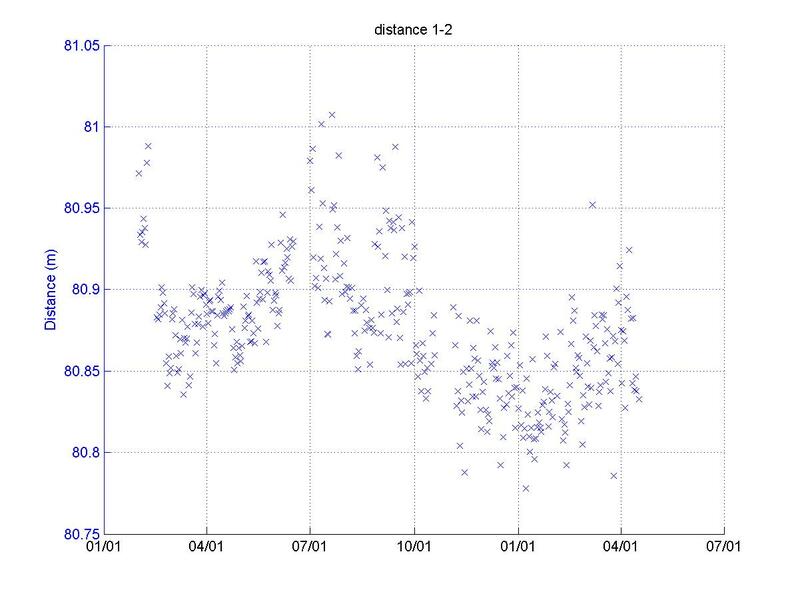 Although the numerous existing technologies used for volcano monitoring, the development of new technologies capable of responding to the needs of accuracy, low cost and ease of installation is still crucial in volcanology. 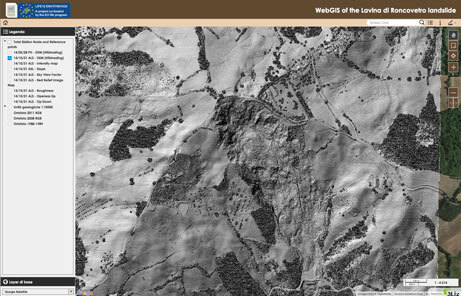 In this congress we present the architecture of the Wi-GIM system, the technologies implemented and the first results collected during the monitoring of two instable areas with different behavior: the active Lavina di Roncovetro Landslide and the large subsiding area in the neighbourhood of Sallent village, with the purpose to explore and discuss possible applications in volcanic areas. 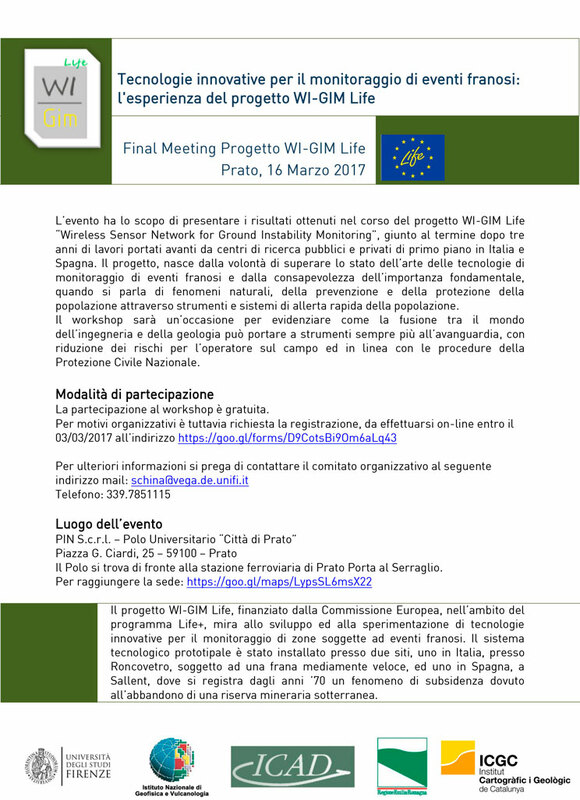 Wi-GIM dissemination workshop has been a success. Thanks to the Mayor of Ciano d'Enza for its hospitality and to Giovanni Bertolini and Marco Pizziolo for managing the meeting. 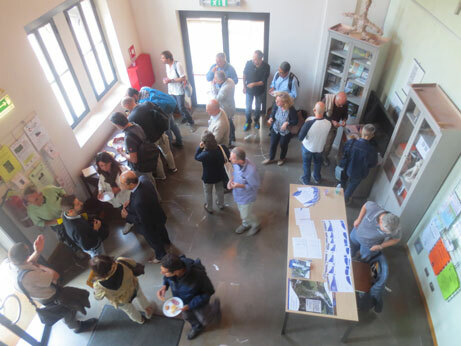 Of course thanks also to Lorenzo Mucchi, Giovanni Gigli, Jordi Marturia and Alessandro Fornaciai for their contribution. UNESCO evaluators visit the Sallent Site.